Apple is preparing to release a new collection of iOS-powered devices in just a few days' time, one of which is expected to be a larger 'iPad Pro' with a 12.9-inch display. While we should be hearing about this tablet officially in the very near future, 9to5Mac has fully detailed the device ahead of launch. According to 9to5Mac's sources, the iPad Pro will be the first iPad to ship with 64 GB of storage as standard, with a 128 GB model also available for those wishing to pay a premium. The tablet will be available in Space Grey, Silver, and Gold, although there won't be a Rose Gold option to match Apple's upcoming iPhones. A variant of the iPad Pro will be available with built-in LTE, although when paired with 128 GB of storage the price of this tablet could approach a base model MacBook. Performance should be quite good, though, thanks to a new Apple A9X SoC that will be significantly faster than the previous A8X. The tablet will also come with four stereo speakers. On the software side, Apple will allow the iPad Pro to display two full-sized portrait iPad apps side-by-side, which is something the smaller iPad Airs cannot do in their split-screen mode. 9to5Mac believes that while the iPad Pro will be announced during Apple's Wednesday event, shipments won't begin until the end of November due to delays and supply constraints. 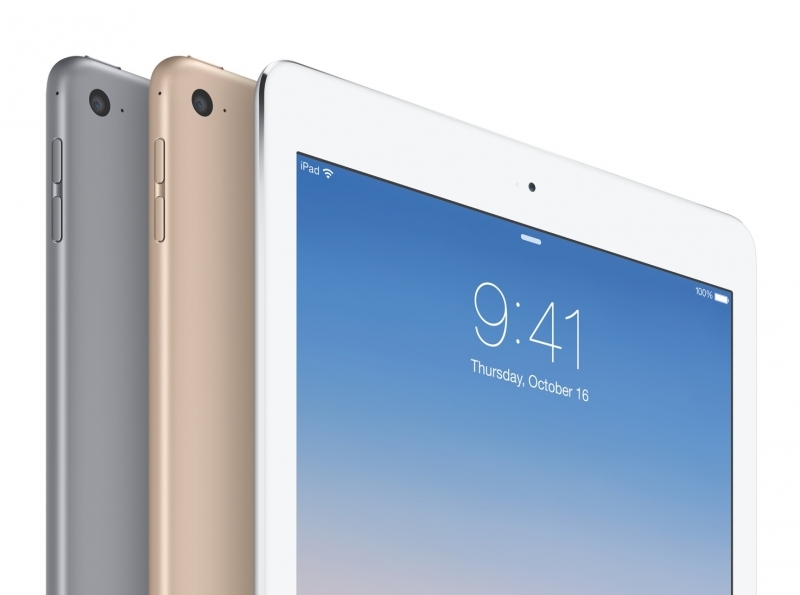 The tablet will therefore ship with iOS 9.1 on-board, the first update to the yet-to-be-released iOS 9. Apple will not bundle the iPad Pro with any accessories, meaning you'll need to fork out more money if you want the Force Touch-integrated stylus, or one of two keyboard attachments. The iPad Pro is expected to be announced on September 9th alongside new iPhones, a new Apple TV, and new Apple Watch bands.